showed up and everyone went home happy. The race was repeated this past November with the same results. NASCAR must have been paying attention. Coupled with a new found interest in Modified racing in the south, and the support of new series sponsor Whelen Engineering, NASCAR has made a few changes. Although the details have yet to be announced, NASCAR will run a southern-based Modified Tour in 2005. It will take the place of SMART, at least for now, since that series has decided to go on an hiatus for the year rather than to compete against the vast resources of NASCAR. SMART isn’t being bought out by NASCAR and they aren’t shutting down either, but a wait and see attitude is probably best describing their course of action. With the new tour, NASCAR will be able to hold an All-Star Modified race, much like what they have done in Irwindale, California for the past two years with all of the other NASCAR Touring Series. 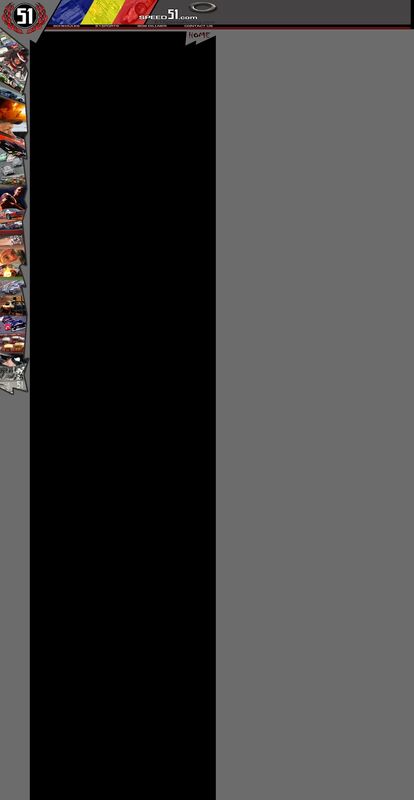 A Whelen Modified Tour race at Myrtle Beach on Labor Day weekend hasn’t been announced yet, but is the worst kept secret in the Mod community. Competitor reaction to the changes is somewhat guarded at this point, since the entire plan is not quite known. But most drivers are cautiously optimistic about anything that NASCAR is doing. Even teams from down south have come up North to race. 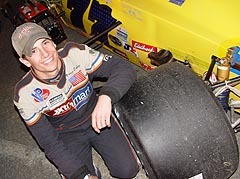 Hillbilly Racing towed up from North Carolina every race to place Eddie Flemke second in points during the 2004 season. If you want to see the top dogs in this type of racecar, you’ve had to go to the area where they are best known. However, that might be changing. 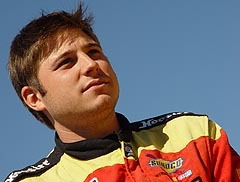 “I think that it will be good for NASCAR,” said 2004 Championship runner-up Eddie Flemke. “It’s like the Chase for the Championship. It will provide hype and exposure. It will sell more tickets. They [NASCAR] will get a couple of more tracks and a bigger audience. If we can get a few more paying races and more sponsors out of it, then it will be a good thing for us as well. In the few times when the Northern Modified teams have gone head to head with their southern counterparts, it has been…well…a massacre. Northern teams have dominated that last two North vs. South Shootouts. Theories to the lopsided results seem to vary. “The North teams are better funded,” said New York’s Fred Vordemeier. “We typically have more into our cars, equipment, haulers, tires and crews. I don’t think that the two tours could be as equal as people might think because we’re in two different leagues. 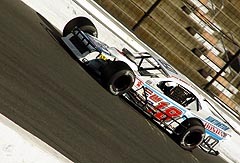 There aren’t any big Late Model classes up here [on Long Island] and the racing is primarily Modifieds. So that is where the bigger teams race. In you went down south and took the teams that were big into Late Model racing and gave them a Modified, they would be competitive. Some drivers don’t see a major difference in equipment though. The chance to get both regions together for a few common races could mean improvements for everyone. Lia sees the NASCAR invasion into the South a good thing. 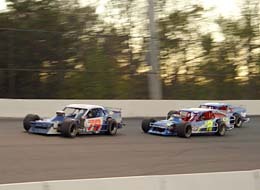 NASCAR Modifieds have been a staple of racing in southern New England, Long Island, New Jersey and a few other areas of the Mid Atlantic for years. For the most part, this type of racecar has been native to this area with just a few exceptions. Sure, Speedweeks in Florida and the SMART Tour, which has been largely based in North Carolina, have had their supporters. But the fact remains that south of the Mason-Dixon line, Mods have mostly been a cottage industry in short track racing. Some question why going to Myrtle Beach is in the cards when there are bigger tracks with larger purses that aren’t on the schedule. Flemke is a little worried about the cost of running in the South. 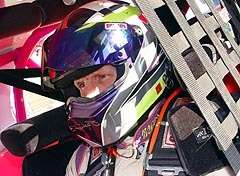 Hossfeld has spent quite a bit of time down south and was involved in the first incarnation of Roush Racing’s Driver Development program. He ran some Truck races for Roush before their program was designed for young drivers and he knows his way around big-time racing. Hossfeld does not necessarily subscribe to the theory that having Southern races will do much to further any careers. It doesn’t look like anyone will need to make major changes to their equipment for that to happen either. The uncertainty of SMART’s future with the existence of a NASCAR Southern Tour is something on the minds of several competitors as well. The new arrangement could help to go the tour’s fan base beyond its current market area. But teams are also wondering if doing so will be worth the investment. Chuck Hossfeld has been South. But when it comes down to it, the Modified teams of the North and the South are racers. If there is an event scheduled and it makes sense or pays points to attend, they will be entering it. When it comes specifically to racing at Myrtle Beach, teams are concerned with costs but happy to be heading to a new location in a vacation hotspot. The downside is the expense of going to a vacation hotspot on one of the busiest weekends of the summer season.